Plenty of things to watch and it even has my favorite Disney. Loving it so much. I love this time of year with all the festive tv viewing! There’s some great movies on! Wow! I see it looks like busy schedule ! I’ll definitely be in the Christmas spirit after watching all these films on the list lol! This is awesome! Thank you for rounding up all the schedules. I can’t wait for Christmas! I love love love holiday movies!! Thank you for sharing this list because I can’t wait to watch them all! Aside from Hallmark, Freeform is my go-to for watching Christmas movies this time of year. I’m so upset that I missed Life-Size and Life-Size 2 yesterday. I’m definitely going to have to catch a replay. I remember when I was a teen I spent so much time watching movies in the tv. Now as a mom I don’t have the time. Thanks for putting this list together. I will save myself valuable time looking for something to watch! With this list, I can know what films will be showing on any particular day! Awesome! Aww yeah. This is my favorite part of Christmas. 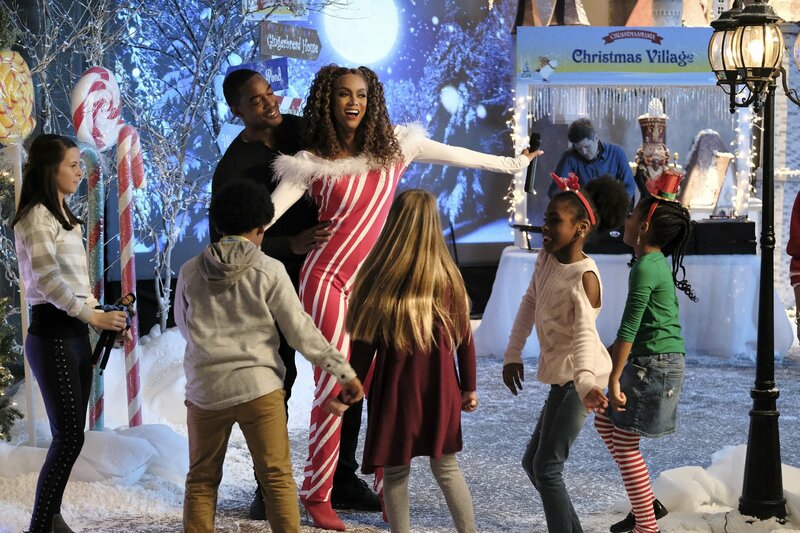 I watch Freeform religiously when their 25 Days of Christmas comes around. What a great lineup of holiday movies. My wife and I (her mostly!) like to watch holiday movies. I need to be on this Freeform asap! I haven’t heard of it until now so I will be getting our treats ready to join in and watch some great holiday movies. I was just thinking about looking into Freeform just for this! We don’t have it yet and I know nothing about it really, but I love holiday movies. Freeform is one of my faves. This is AMAZING. So many amazing things to catch! Thanks for sharing I will be bookmarking! Oh my goodness! It’s such a good thing I don’t have freeform, I would totally be spending the next 25 days binge watching every Christmas movie on this list! Thank you so much for this detailed guide! Can’t wait to binge watch Christmas movies! There are Plenty of things to watch with family and it even has my kids most favorite Disney.Thanks for sharing! This is GREAT! Thank you for compiling this list. Now for a cup of hot chocolate, a fuzzy blanket, and my sofa. 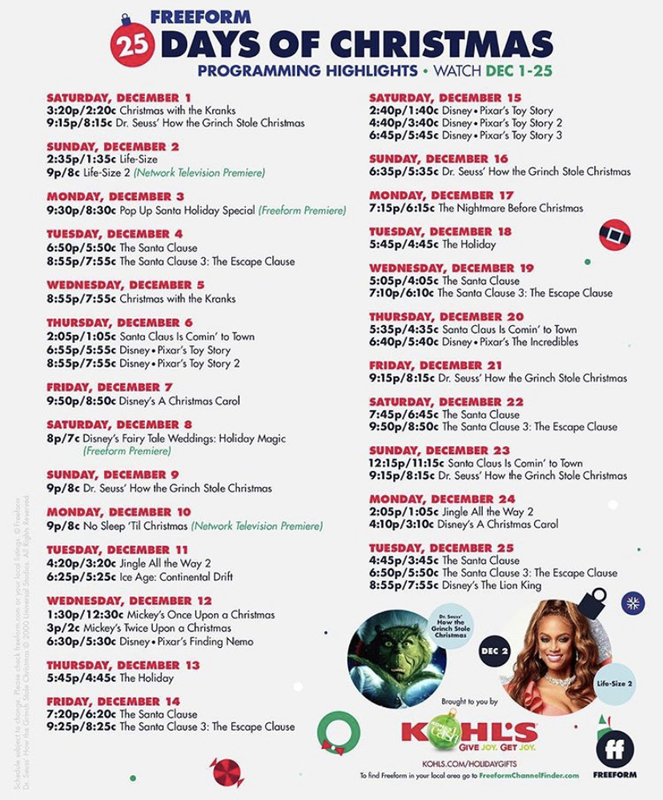 I will for sure be tuning in to some of these, everyone loves a good Christmas movie! I always look forward to when they put this schedule out. So many great movies to watch together as a family! I’m trying to get into the Holiday spirit and show my kids all of the movies I watched up until my late teens, even in college! This list is awesome! Perfect viewing schedule to stay inside and stay warm. Our son hasn’t seen some of these yet! I need to see if I have this channel. I see they have some great movies coming up and showing Now! So many Christmas movies with so little time. They should have the movie watching season before or after the Christmas season so we all have time to watch our favorites. I was looking at the list earlier and can’t wait to watch some of these. There are so many good ones. And look at her candy cane suit. So cool (though I couldn’t pull it off, I love it). Oh I wish we had this channel here! This is my dream playlist! Christmas movies are my absolute favourite! My family and I LOVE Christmas movies! Thank you so much for making me aware of this channel as I had not heard of it before. Merry Christmas! Thanks for sharing this lineup. I never can get enough of Christmas movies. They are always so heartwarming and uplifting. Freeform has become one of my favorite channels! Their line up is amazing, we were just watching movies on that channel the other day! Wow! There are so many great movies on this list. I love it!